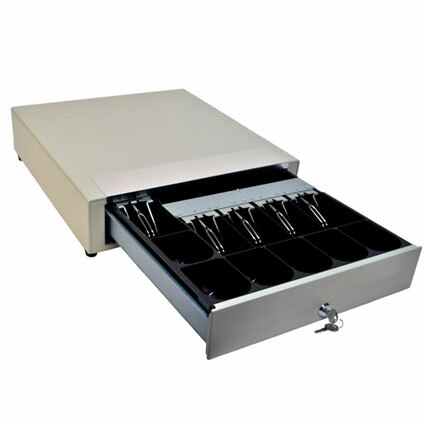 The M-S Cash Drawer EP-107N utilizes a larger than average money tray to provide extra storage space at an economical price. 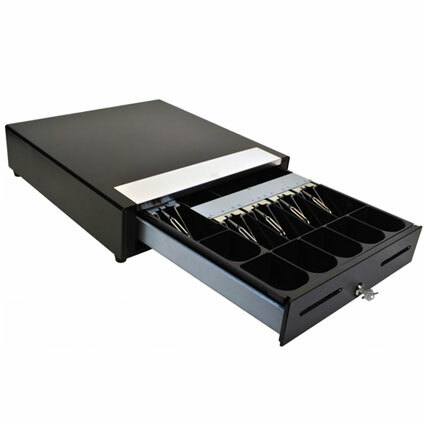 An optional media slot gives easy access to dropping anything into the drawer, increasing security when putting away receipts, checks, or other invoices/slips. 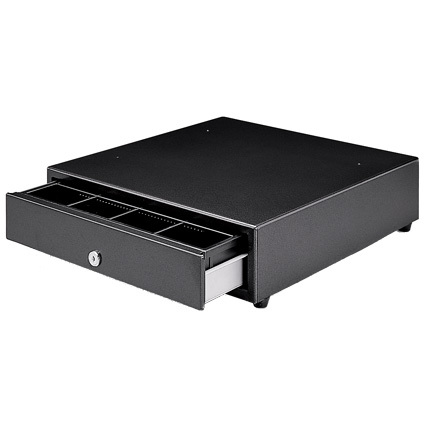 Available in black or white and with your choice of a receipt printer, rs-232 serial, parallel, or USB interfaces, the M-S Cash Drawer EP-107N can seamlessly install virtually anywhere.